It was our first time volunteering and we planned to spend 3 weeks with the project, we had no idea that we would get so emotionally involved. Fundación Mariposas Amarillas (FMA) is a small grassroots organisation based in Santa Marta, on the Caribbean coast of Colombia. 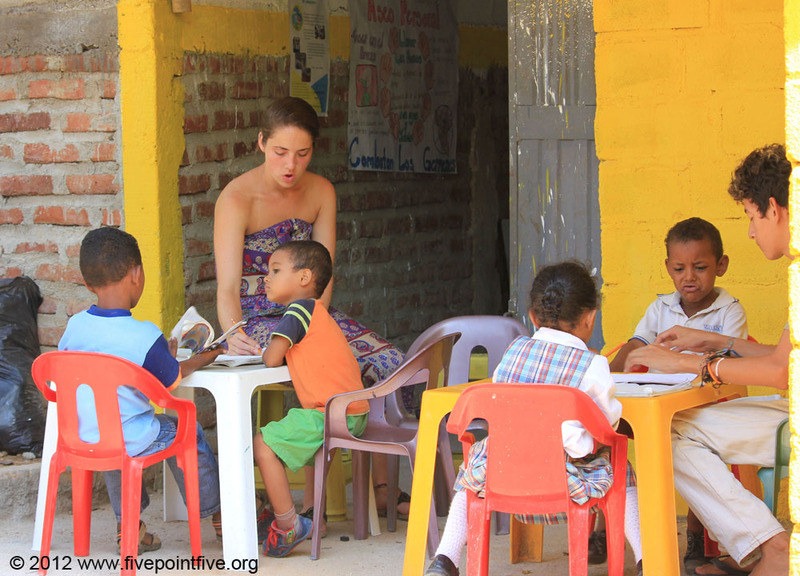 The foundation runs two small schools in very poor neighbourhoods/slums on the outskirts of Santa Marta. 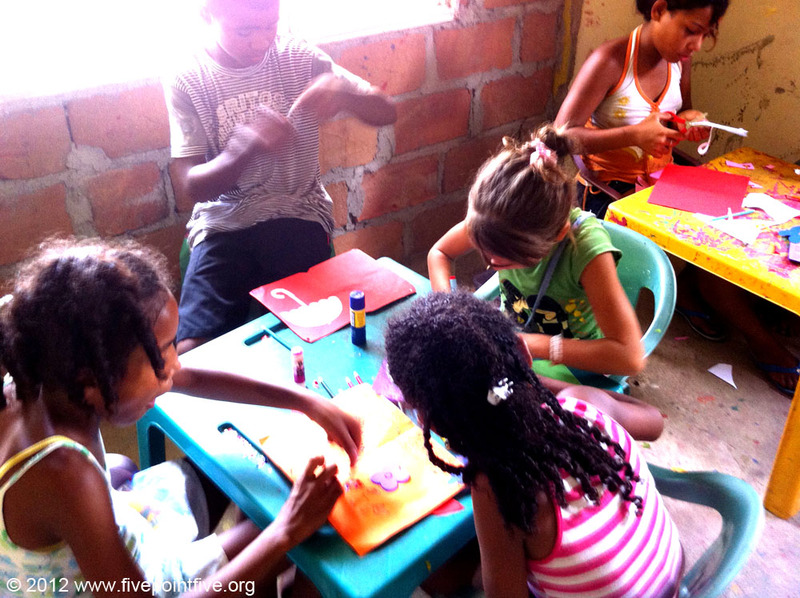 Founded by Oscar Cortes – himself a former street kid, there is a morning school and an afternoon school that is run by Oscar and a team of short and long term volunteers from all over the world. Most kids in Colombia go to school in the morning. The FMA afternoon school is supposed to be a 2 hour after school program. However in this slum there is very little support, funds or incentive to send their kids to schools outside and so for most of the kids here the 2 hour afternoon school is their only access to education. The kids are wild with life and energy. They are gorgeous, noisy, cheeky, often dirty and very keen to learn but you never quite know who will turn up. Some days (especially when it rains) there may be 10 or so kids, other days (especially art and sport days) there can be over 30 kids. The classrooms get split by age and ability and volunteers divide up accordingly. I was concerned that my lack of Spanish would be a problem but John showed me that you can relate to kids in any language if you can be confident, interested and make them laugh. Of course when teaching language is important and so the volunteers with experience, who could speak Spanish led the classes and we assisted. The morning school is in another neighbourhood and is more structured, the same kids come every day and their parents are a little more proactive about their education. This school was needed as the nearest school to this neighbourhood was too far away for the kids to reach. There are two classes in the morning school, one for the younger kids and one for the older kids. The teachers create the lesson plans and teach all the fundamentals like maths, Spanish, English etc. I found the experience of volunteering here to be welcoming, warm, crazy, hot and friendly! Not surprisingly the people who work here are simply lovely and it was a great environment to be in, both for work at the schools and the social aspect. There is a volunteer meeting twice a week in a local hostel to discuss who is doing what and when and where. This is great as you get to meet everyone and feel part of the team. 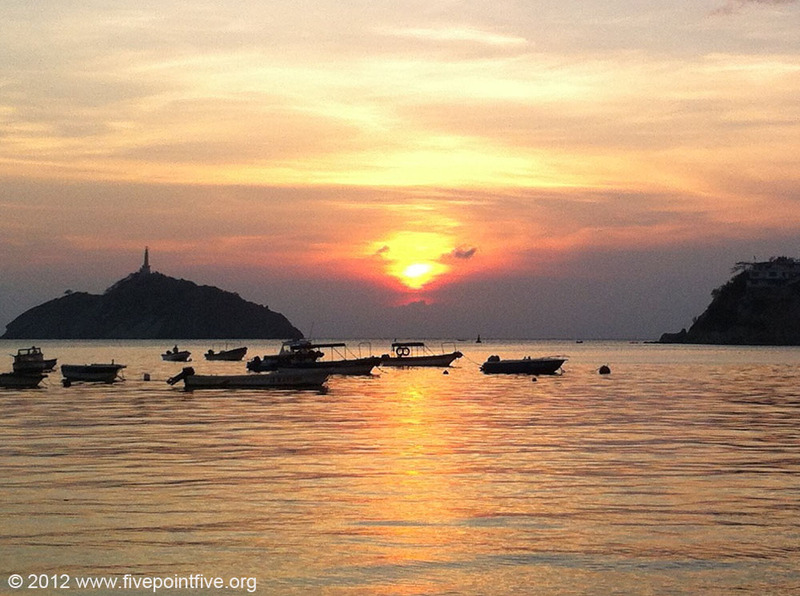 Santa Marta is a great place to stay and there is much in the way of nightlife, restaurants and bars. There are also loads of natural attractions close to Santa Marta including stunning coast line, national parks, hiking to Ciudad Perdida (the Lost City) etc. Despite Colombia’s reputation, Santa Marta is a safe place to visit and it is well set up with options for budget travellers. Unlike many volunteer programs which have a weekly fee, FMA only requests a one off donation of USD $50 to participate in their volunteer program. You are responsible for your own food and accommodation during your time there although they can help place you with a home stay family if you wish. They prefer if you can stay a month or more, however if you have specific skills or project that you wish to undertake then they will consider you for shorter stays as well. This has been an amazing experience and we really fell in love with the kids, the place and the people. We highly recommend FMA as a place to volunteer if you want to make a difference and are looking for a life-changing experience. 12 Months Blog: how can we help when there is so little hope?